Our next unit in a reading and writing involves the study of informational texts. 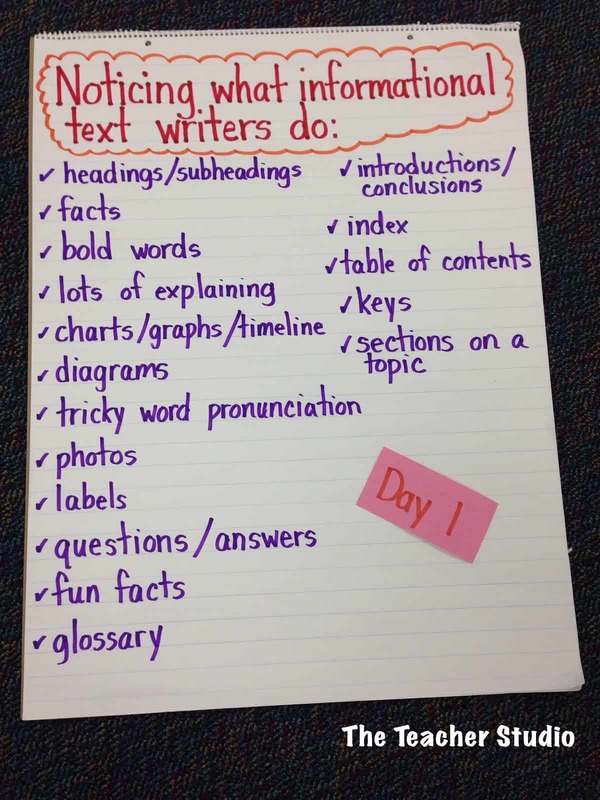 This unit is geared toward helping students recognize different text structures and how writers organize informational text so that their readers can truly understand their messages. 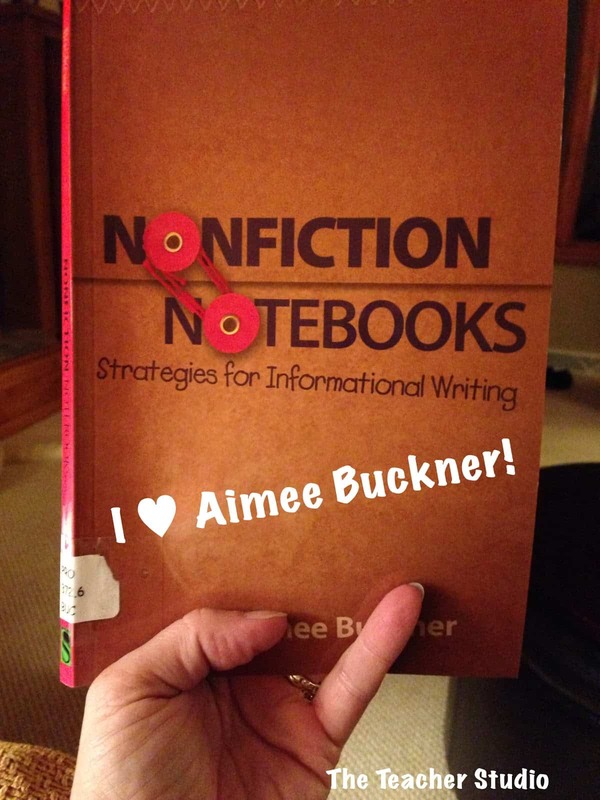 One book that is forming the foundation for my unit is yet another wonderful professional book by Aimee Buckner. If teaching the research process has ever been challenging for you, you are going to want to pick up this little gem and see if it doesn’t really change your way of thinking about how kids can conduct their own research projects. Our curriculum asks students to conduct a research study project on a topic that we have studied this year… a topic that they are interested in and can push their thinking beyond what was covered in class. For example, we studied immigration and learned a lot about it, and if student was very interested in that topic, he or she might extend their learning by choosing a topic that takes a new angle or “slant” on the topic of immigration. Perhaps they might want to research the Statue of Liberty and find out how that statue became such a symbol of freedom for the new Americans. Perhaps they are interested in the criminal activity that happened at Ellis Island as the new immigrants arrived. 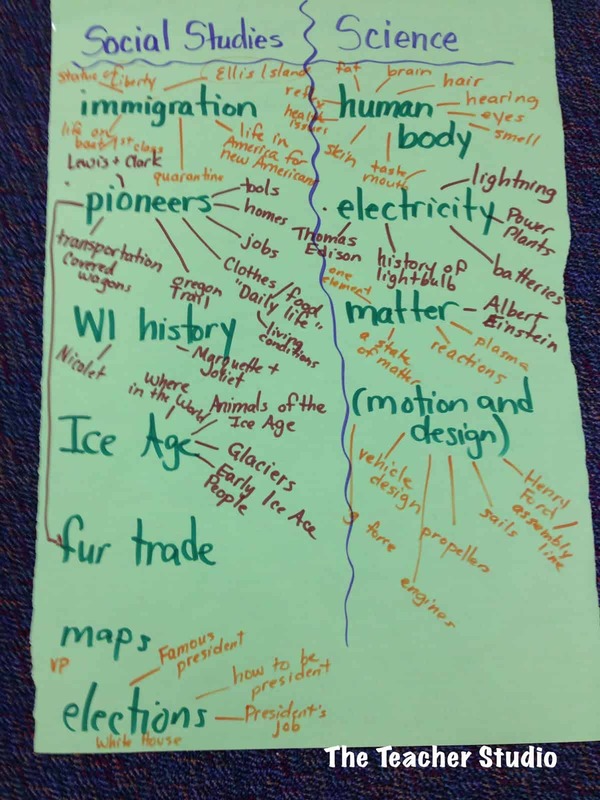 To get this process started, we began by brainstorming a list of the topics we have covered this year and then began to talk about smaller topics within those topics so that we could start to see how they could turn into interesting research projects. Along with this, I really wanted my students to begin to look at informational text through the eye of a writer. 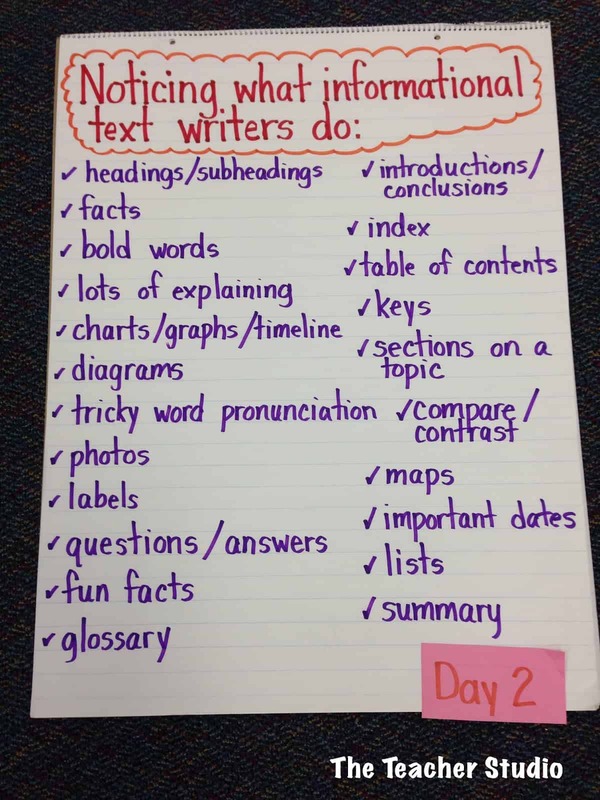 Buckner encourages this study of texts, so my students spent some time yesterday with piles of books and magazines to hunt for examples of things informational text writers need to know about or use when writing. On this first day of this investigation, I gave the students all the circulation and respiration books related to our current science unit and ask them to spend some time in partners reading and hunting to help me make a list of tools and techniques that informational text writers use. Check out all the things they found! I also knew that I really wanted a big chunk of books in the room that the kids were going to be really excited about looking at, so I booked a short time in the library and asked every student to find three or four information texts that they thought could be read in one sitting and that many students in the class might find interesting. They found everything from killer bees to WWII to bulldozers to Persian cats–and they were SO excited and begged to have reading time. The next day, I granted their wish–with the caveat that they were reading the books as writers hunting for things that the authors did to clearly “teach” us in their book. I challenged them to try to learn not just the content of the book–but to learn about writing nonfiction as well. After a nice reading time, we added to our list a little bit!